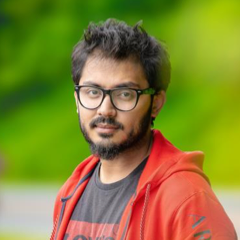 Mofizur Rahman is a Developer Advocate at IBM. . His area of interests include blockchain and container orchestration. His favorite programming language these days is Go. He also tinkers with Node, Python and Java. He is also learning and engaging in the Go, Kubernetes and Hyperledger Fabric. He is an avid collector of stickers and has collected stickers from over 50 different technology. He dabbles in photography sometimes. . He Can be found on twitter @moficodes. He writes tech blogs at NYC-DEV medium page which can be found on https://medium.com/@moficodes.